America's puppet master pulls off his greatest hoax. The staff at Nantucket’s Inquirer and Mirror didn’t know what to make of it when fisherman Bill Manville appeared in their office and claimed that he had seen a sea serpent lurking in the waters off the coast of their little New England island. It was the summer of 1937 and although New England already had a rich history of sea serpent lore, his story still seemed too fantastic to be true. What had Bill seen — or thought he’d seen? Was it a mirage? Were his eyes playing tricks? Or was someone playing a trick on him? 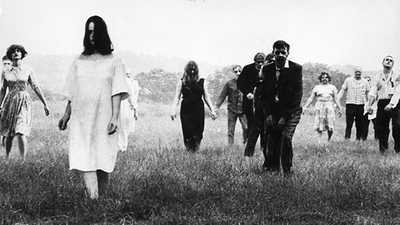 Whatever it was that Bill thought he had seen, the Inquirer and Mirror staff couldn’t contain their snickers. As it would happen, Bill Manville did see something — and he wasn’t the only one who did. Gilbert Manter, an amateur fisherman, claimed to have seen a creature off Smith’s Point while he was out looking for bluefish. Then, a day later, Manter and another local man, Ed Crocker, came upon a pair of unidentifiable footprints in the sand on Madaket Beach, a popular strip of land on the far west coast of the island. Measuring nearly 5.5-feet long and nearly 4-feet wide, the footprints represented the first tangible piece of evidence to support Manville’s claim of a creature stalking Nantucket. Had whatever Bill Manville and Gilbert Manter spotted out in the cold Atlantic waters actually come ashore? 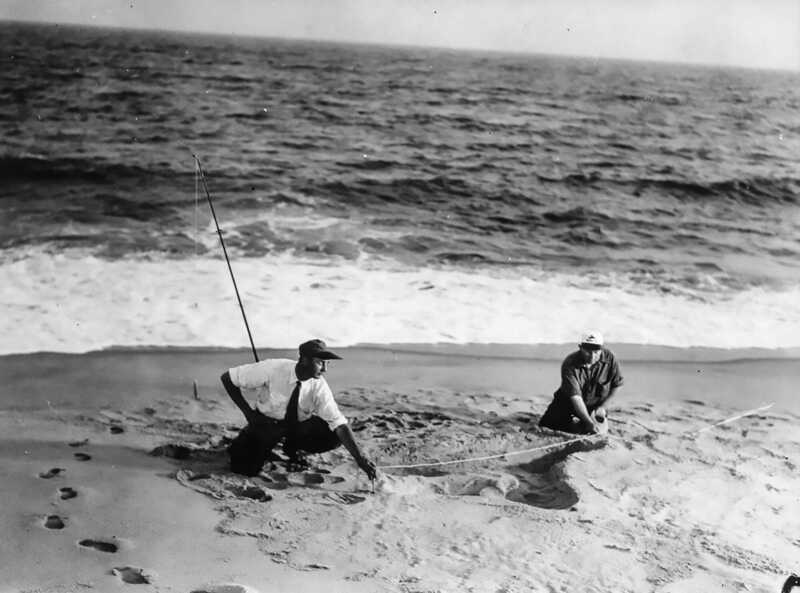 Photos of Nantucketers examining and measuring the footprints were circulated in local papers — but much like initial reports, the footprints were met with great skepticism. One skeptic was a respected veterinarian and head of the New York Zoological Society, Dr. W. Reid Blair, who was sent copies of the photos for his professional opinion. So, if Bill Manville and Gilbert Manter’s eyes had been deceiving them, and the footprints in the sand weren’t left by a sea monster, what exactly was happening on Nantucket that summer? Nantucketers would soon get their answer. They’d also find out that Bill Manville and Gilbert Manter knew a lot more about what was going on than they claimed. On a warm morning in July, something massive washed up on South Beach (better known today as Francis Street Beach). Local residents and tourists descended on the beach to investigate further. A sea serpent had, in fact, visited the island. But it wasn’t made of flesh and bone. It was made of rubber and canvas. It was an enormous balloon. The man behind the balloon — and what turned out to be an elaborate hoax — was Anthony “Tony” Frederick Sarg, an illustrator and puppeteer, remembered affectionately today as the “Father of Modern American Puppetry” and “America’s Puppet Master.” By the time his sea serpent landed on Nantucket in 1937, Sarg was already an established fixture in the worlds of puppeteering and theatrical design. Born on April 21, 1880 to a German father and an English mother, in Cobán, Guatemala, Sarg was surrounded by creativity and the arts from an early age. His father, Francis Charles Sarg, was an artist; his grandmother a respected painter; and his grandfather practiced woodcarving. “His family was an artistic family,” said Bart Roccoberton, Jr., Director of the Puppet Arts Program at the University of Connecticut, “[and] his grandmother, very specifically, encouraged his interest in mechanical toys.” With such artistic energy surrounding him from an early age, Sarg seemed destined for creative greatness later in life. Sarg would eventually move to London, where he began working as an illustrator, depicting events around the city, much in the way a photographer documents significant events today. One assignment found him in the audience of a marionette show. Captivated, Sarg asked if he could peek behind the curtain to see how the magic was made. The answer was no. According to Roccoberton, this was a time when puppeteers hung a canvas around their stage so that people couldn’t learn their secrets — not even the stagehands. Instead, Sarg attended the same show dozens of times. Sitting in the front row, he made sketches of each of the performances, essentially teaching himself the ins and outs of puppetry. A new passion was born. In the years that followed, Sarg continued to perfect his puppetry skills, performing for friends at various functions and soirees in and around London, while making his living as an illustrator. In Germany, he met a woman from Cincinnati named Bertha Eleanor McGowan. The two married and had a daughter. 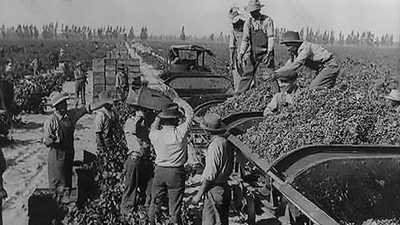 But by July 1914, World War I had erupted across Europe and the Sarg family fled to New York City. It was in New York that Sarg would transform from an anonymous illustrator into a renowned puppeteer. 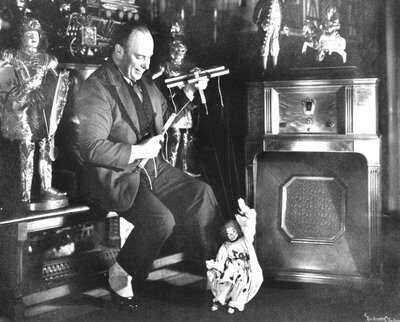 At first, the artist entertained only friends with his marionettes, like he had in London. His big break came when a theater producer who had seen his shows desperately needed to fill a last minute gap in his performance schedule. All at once, Sarg was offered an opportunity to take his marionette work to the next level — the Broadway stage. By the late 1920s, Sarg’s reputation caught the attention of Macy’s department store. That year, the department store hired him to design animated marionettes for their window displays during the Christmas season. The relationship proved fruitful; in 1927, Sarg designed the first series of helium-filled balloons for what would become Macy’s annual parade — a celebration that underwent several name changes before officially becoming “The Macy’s Thanksgiving Day Parade” in 1935. Sarg’s earliest balloons were made of rubberized silk and produced by the Goodyear Tire & Rubber Company in Akron, Ohio. They ranged from a variety of animals to beloved characters like Mickey Mouse, Pinocchio, and The Tin Man from The Wizard of Oz. There was also, of course, a sea serpent. 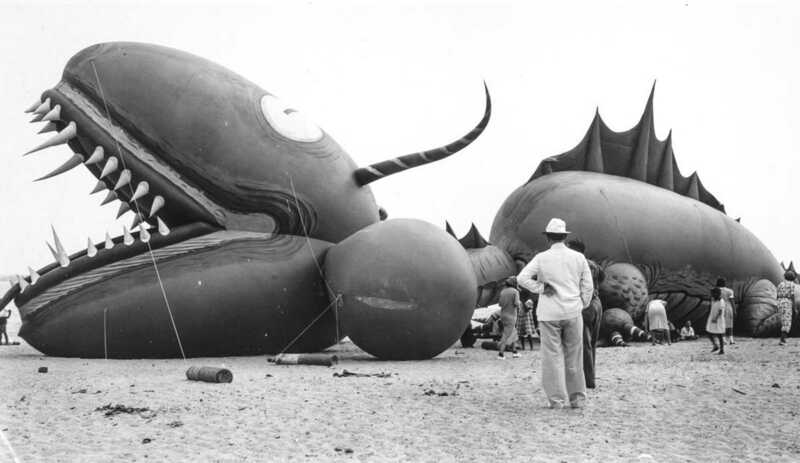 When Tony Sarg’s sea serpent balloon washed ashore on Nantucket’s South Beach, it quickly became the event of the summer. Nantucketers from all around the island came to see his creation up close, including future puppeteer, Allelu Kurten, who was just a girl at the time. Some onlookers even brought their cameras with the hope of documenting the event for posterity. (A small amount of that footage still exists at the Nantucket Historical Association.) It didn’t matter that the monster wasn’t “real”; the serpent captured the imagination of everyone on the island — both young and old. But why had Sarg staged this hoax in the first place — and why on Nantucket? It turns out that when Sarg needed a break from the hustle and bustle of New York City, he would retreat to the small island off the New England coast. He began visiting in the early 1920s, and eventually bought a home there in 1922. Ever the social butterfly, Sarg quickly became friends with local artists and other creatives. He also opened a store, Tony Sarg’s Curiosity Shop, where he made and sold all kinds of things, including paintings, toys, wallpaper, and other knickknacks. Sarg lived and breathed creativity. He maintained his Nantucket shop through the 1930s, until falling on hard times (both financially and physically) toward the end of that decade. 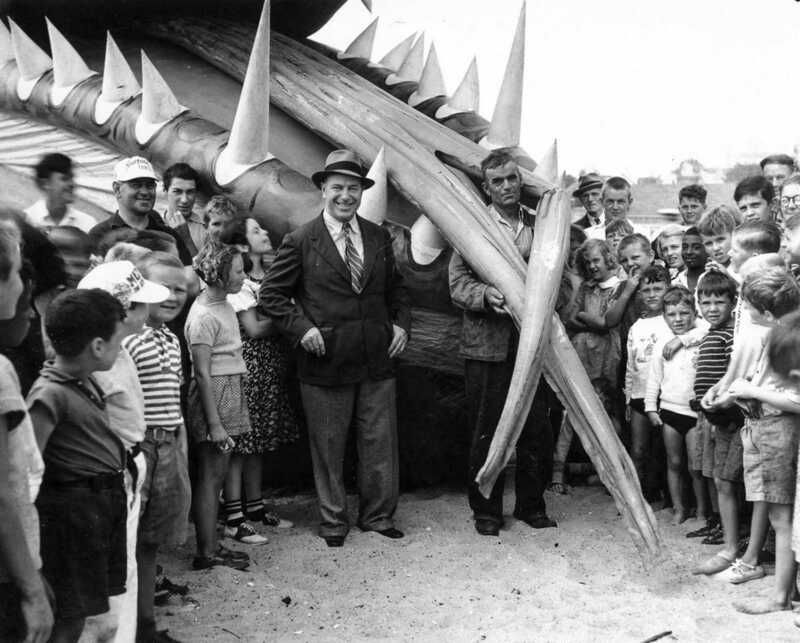 At the time, many believed the hoax was Sarg’s way of giving something back to a place he’d grown so fond of over the years, while also generating some positive publicity for the island. “Nantucket welcomed his artistry and his imagination, so, he felt very much at home there,” said Roccoberton. 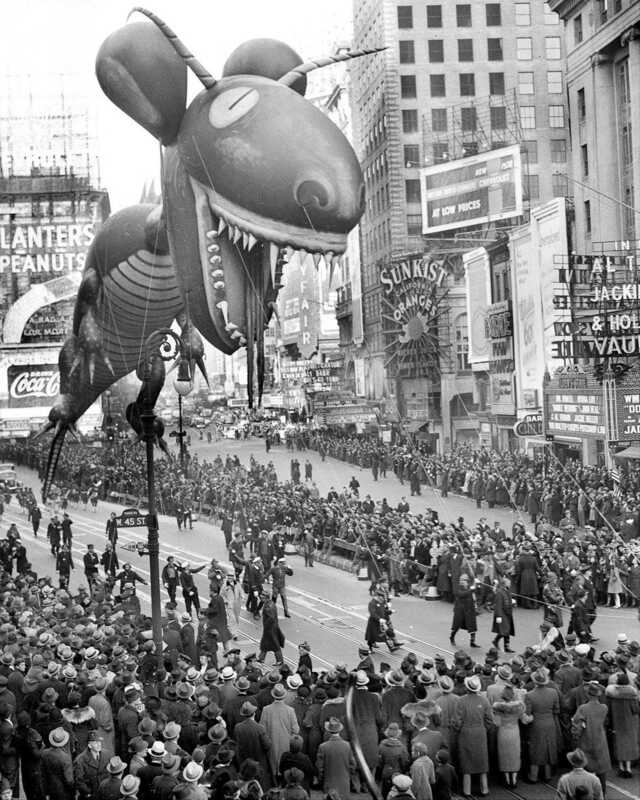 “It’s only logical that when he comes to Nantucket, where there’s this wonderful seafaring community, Sarg would, in his creativity, start imagining sea serpents and realize that he could provide one.” After its short island visit, the sea serpent would fly above New York City in the Macy’s Thanksgiving Day Parade that autumn of 1937. Tony Sarg died from peritonitis on February 17, 1942 at the age of 61, but not before helping to establish an annual American tradition enjoyed by millions in the Macy’s Day Parade, and leaving an indelible mark on the world of puppetry and puppet arts. Not only are the larger-than-life balloons we see today the offspring of Sarg’s original creations, the artist also inspired generations of puppeteers, including Allelu Kurten and the creator of The Muppets, Jim Henson. John Campopiano is an independent film writer and documentary filmmaker. 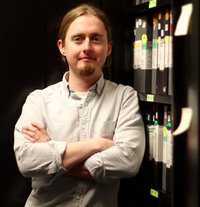 He is an archivist for the PBS flagship series, FRONTLINE, and the founder of the non-profit group, The New England Media & Memory Coalition. He currently serves on The New England Archivists Board as a Representative-at-Large. Country music is often associated with nationalistic, military themes. But the real nature of the relationship between the genre and the armed forces is a lot more complex.